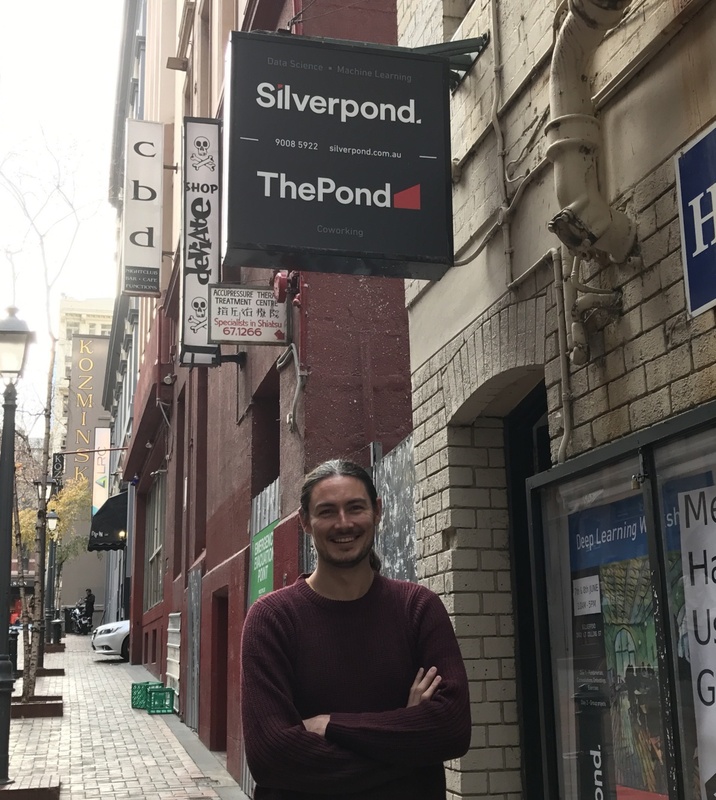 Silverpond’s latest intern Josh Patterson took a roundabout route bartending and engineering before deciding to pursue his love for robotics. 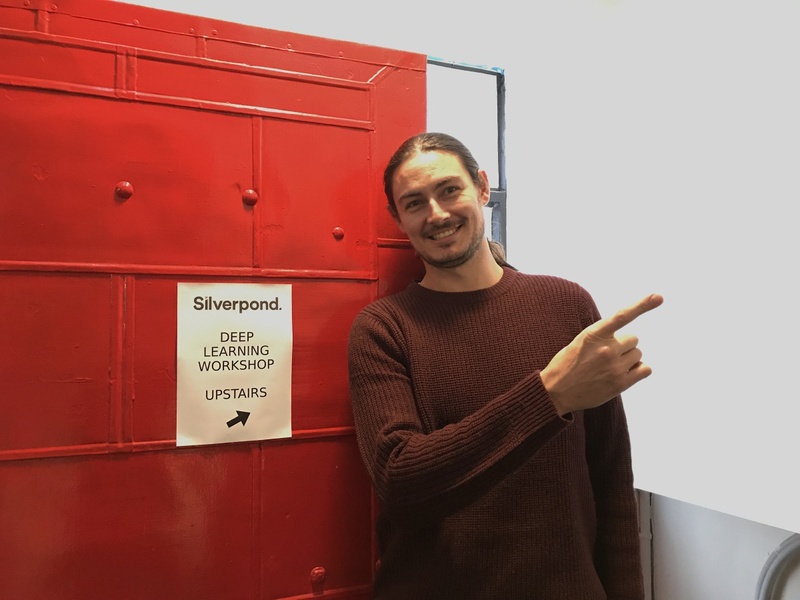 Now in his Bachelor of Robotics and Mechatronics at Swinburne University, he is just wrapping up a three month machine learning internship with the team here at Silverpond. How did you first come into contact with Silverpond? I was doing a research project for uni, and I was bashing my head against TensorFlow, wondering “is it working, is it not?”. It was the first time I’d ever used it, and my wife started doing some Googling and found Silverpond’s workshops online at 3am the morning they were on. It was a bit serendipitous, and yeah I signed up and came in! What was your first exposure to machine learning? Youtube. My Youtube recommended videos is just machine learning, that’s pretty much all it is! I had an interest in robotics and science and computers, and just sort of naturally gravitated towards it I guess. You’ve been working in a team at Swinburne on some robotics projects, can you tell me a bit about that? It’s an autonomous robotics competition called NIAR, National Instruments Autonomous Robotics Competition. It’s an annual competition where thirty-ish universities from Australia, New Zealand, and Malaysia compete in a live final autonomous robotics event. Two years ago it was a shipping yard, so you’d go from A to B, pick up some shipping containers, B to C, drop them off. Last year was a hospital, you’d go from A to B and drop some medicine off, and this year it’s autonomous cars. You drive round a pretend city grid and pick up students and drop them off at school, there’s speed zones and overtaking lanes, it’s going to be a bit harder. So you’re coming to an internship a little bit later on, can you fill me in on your work history and how you’ve ended up in this area? I got a degree in Civil Engineering in 2008 and worked as an engineer in Abu Dhabi and Dubai and up on the Gold Coast, but it never really blew my hair back. I just kind of took the path of least resistance out of high school and meandered along with everybody else. Then I did bartending for about ten years, but always maintained an interest in robots and computers, and it was like, I’ll go back and make robots! What’s the project you’ve been working on during the internship here at Silverpond? Synthetic data generation for neural networks. The problem is gathering data for training neural nets is generally pretty time consuming and expensive, and some data is just impossible to get, or just not practical or safe to get. So the idea being, can we generate data using a game engine like Unity or Unreal to make the data? Sort of by definition, the data is easily label-able because the game already made it so it knows what it is – you can cut out that middle man. It takes a person, maybe being generous, about five minutes to annotate an image, whereas I can generate 5000 images in 20 minutes. And what I was working on in the internship, Silverpond wanted to commercialise it, so I’ll be working on refining that research and turning it into a product which is super cool! Josh sure knows how to find a good Deep Learning workshop! What’s been most interesting to you about the kinds of work you’ve come into contact with at Silverpond so far? The different and varied architectures of neural networks is really cool. And just the ability to dive straight into some state-of-the-art machine learning models like Inception V3 or Faster R-CNN. From day one, just being given a login into the devbox and “here you go, you can just use these things straight away”, is pretty cool. And what’s the main skill you feel you’ve learnt or built on whilst you’ve been in the internship? Definitely knowledge of some nuances of machine learning. When you watch these videos on YouTube it’s usually the finished product. So it’s, “we just threw some layers together and the answer comes out” but there’s a lot more head butting of computer screens before that happens. Looking forward, where would you like to go with these experiences of robotics, mechatronics, machine learning? Which parts of the industry excite you most? I really like the idea of interactive robotics and robot decision making. Having an ML model inside a computer identifying images or errors is really awesome. I’d love to take that from the virtual world to the real world and actually put in inside a robot that’s physically driving around and using ML to interact with the world. The team at Silverpond are excited to have Josh stick around a while longer to complete further work on his project. And we can’t wait to see the robots!